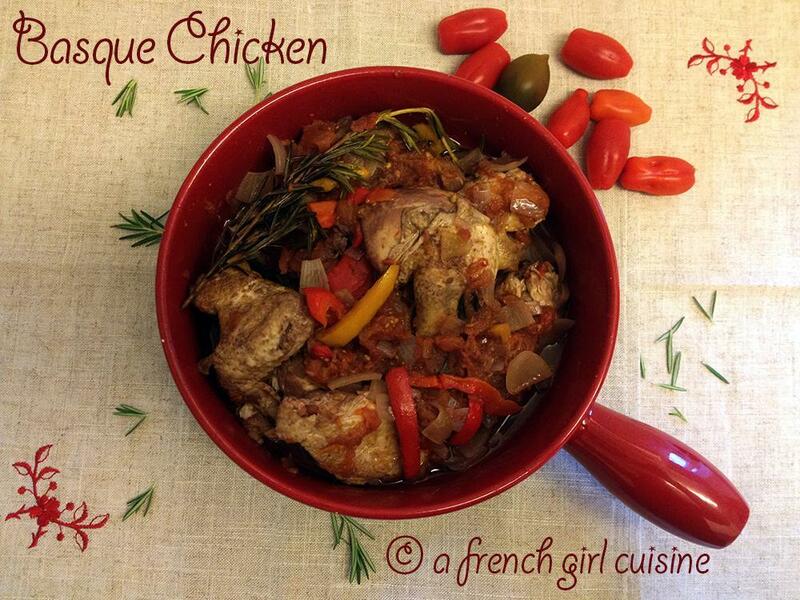 You will find below a new version of my basque chicken! When I was living in Beijing, I cooked that recipe for some of my friends. Sometimes you need to be really innovative in order to replace the ingredients that you have troubles to find :). Brown the chicken legs on both faces. Seed and slice the green, yellow and red pepper. Slice the onion and the garlic after removing the green sprout. Add all the ingredients into a big pot including the tomato sauce, the spices and the red wine. Bring to a boil and leave to cook at low/medium heat until the chicken legs are well-done. Oh! Thank you for comment! Yes 75 cl :). It is good and not complicated which is great!